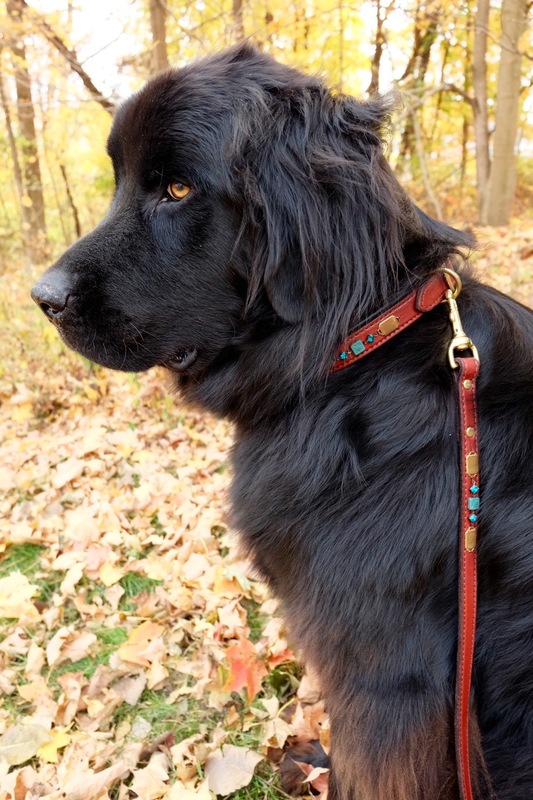 Our dog/cat collars and leashes are made from the same quality leather as our horse & rider equipment. Prices range from $65-$250, depending on size, crystals, and vintage pieces used. 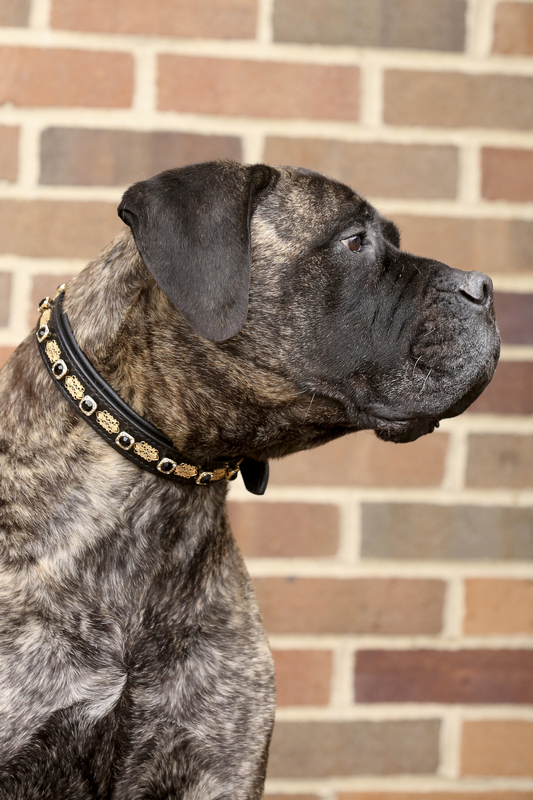 We will happily create a custom collar for your canine or feline companion; or you may choose from our stock collars. Please contact us for availability. 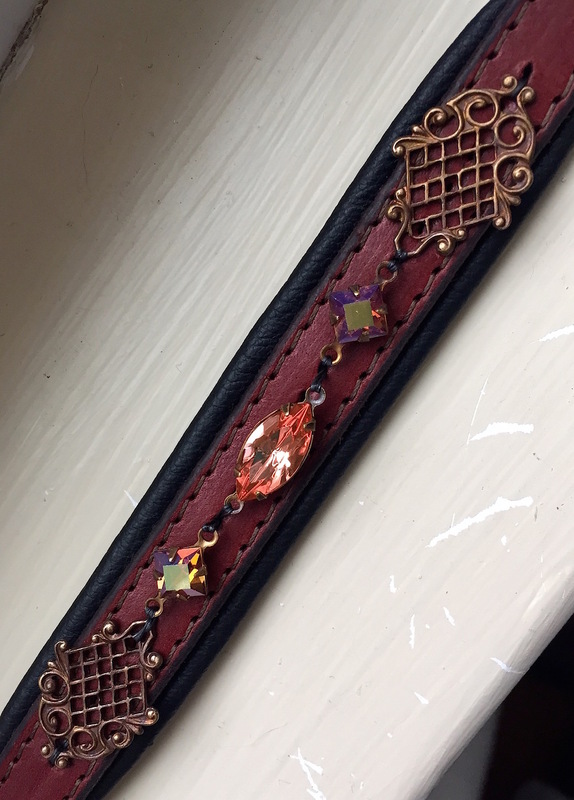 The collars are hand-sewn on the highest quality Weaver leather for the utmost durability, whilst being the most fashionable collars on the market. We are proud of their unique design. Our collars aren't just for your beloved canines, but kitties look quite exquisite in them as well! 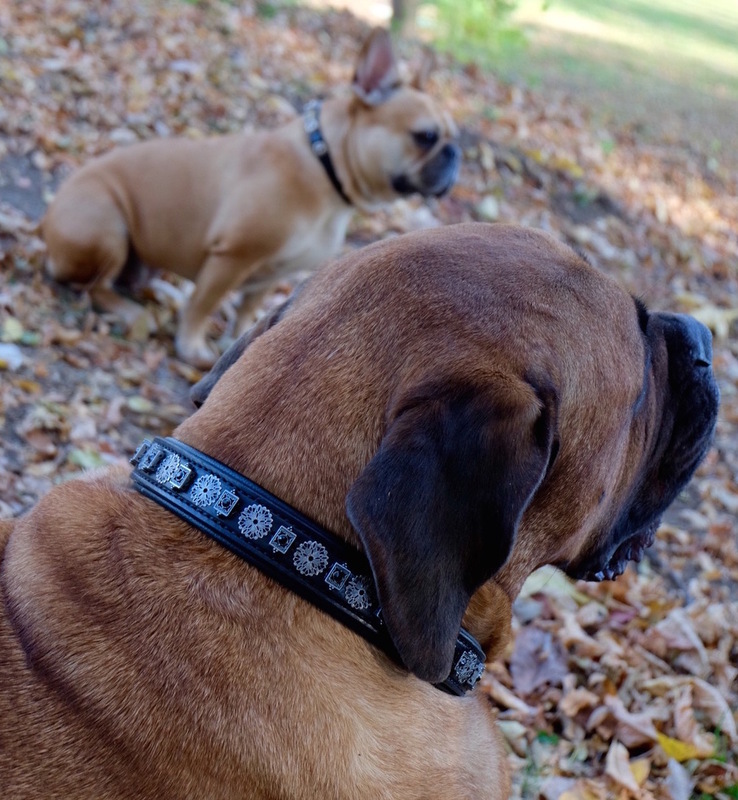 In addition, we are excited to offer holiday themed collars for certain holidays throughout the year. Keep a close watch on our Facebook and Instagram pages for the latest updates on what we will be offering throughout the year! 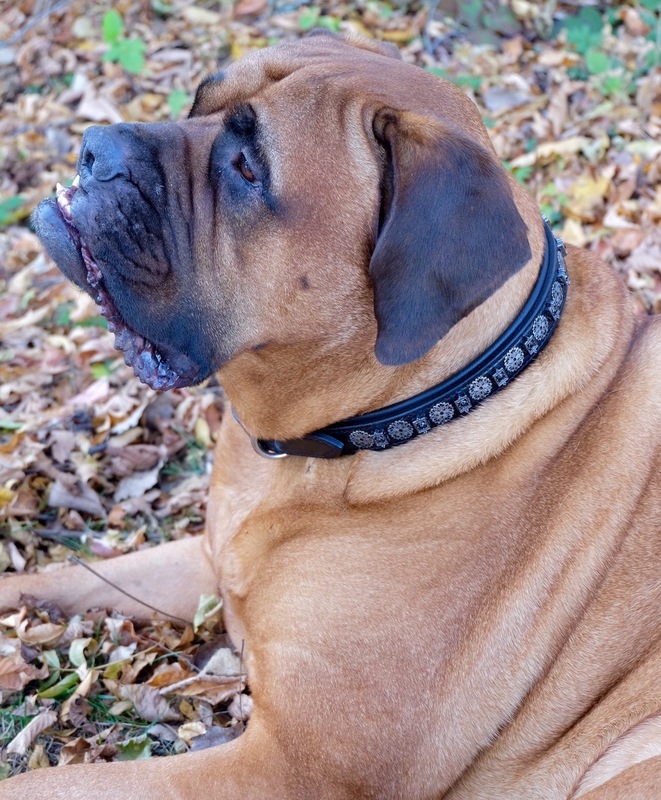 We also offer 2" thick collars (decorated or not) for the larger breeds! 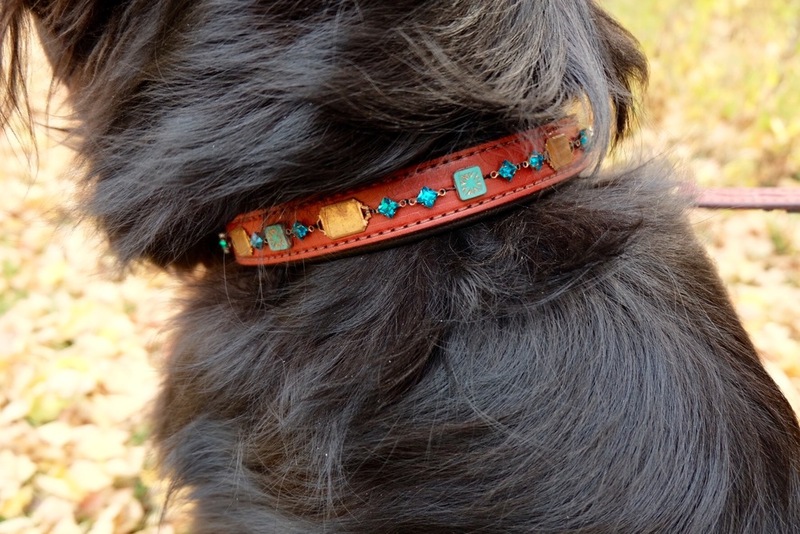 Not really into decorated collars or have a super active farm dog that may be hard on them? No problem. 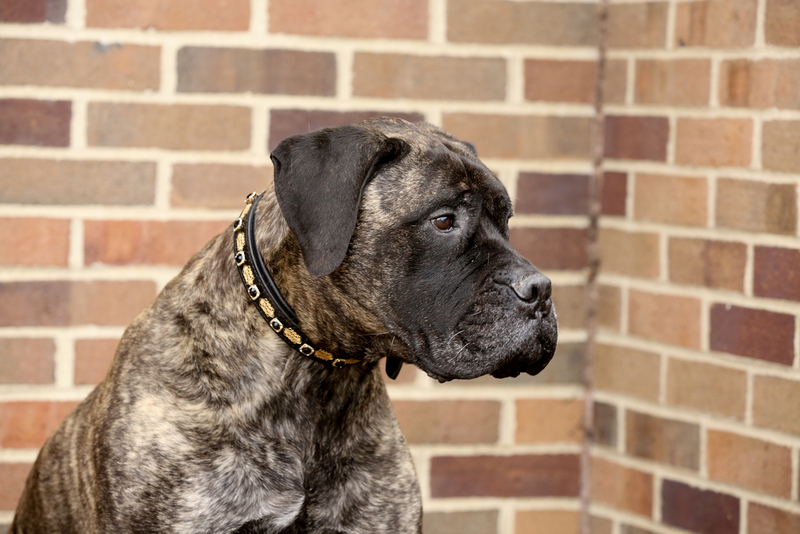 We are now offering the same quality Weaver Leather collars that are not decorated. 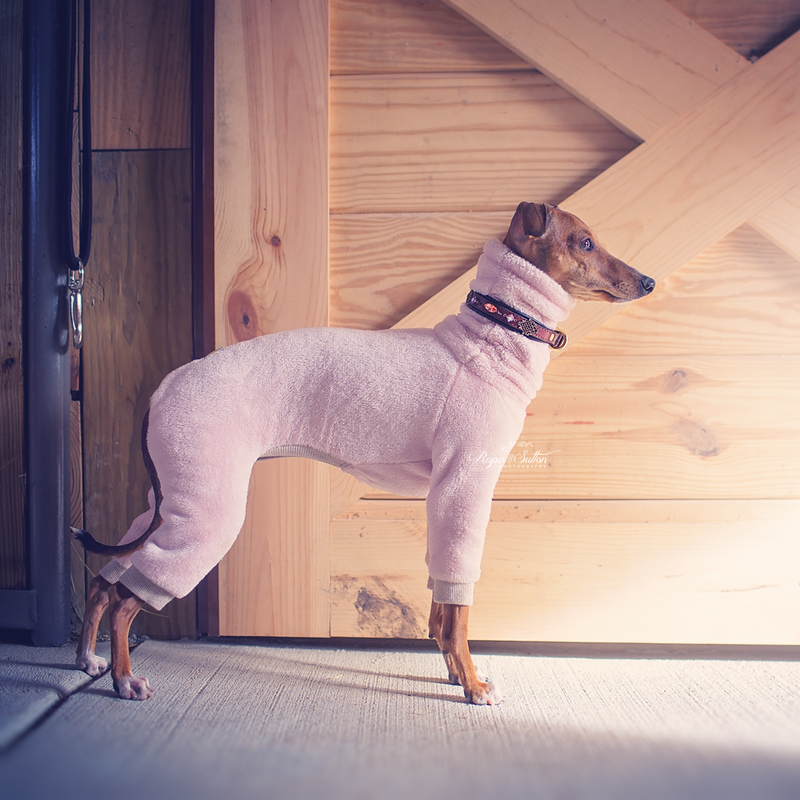 They are soft, supple, and sturdy with padding. Leather colors include: Black, London Tan, Chestnut, & Havanna. Padding colors include: Black, White, London Tan, & Havanna. We don't use plated hardware that can flake or rust. We only use solid brass or stainless steel for longevity & strength.